UNITED NATIONS, Feb 11 2014 (IPS) - When over 50 world leaders meet in the Netherlands next month for a Nuclear Security Summit (NSS), the primary focus will be on a politically-loaded question: how do we prevent non-state actors and terrorists from getting their hands on nuclear weapons or nuclear materials? But sceptical anti-nuclear activists and academics pose an equally serious, but long ignored, question: how do you prevent the use of nukes by the eight countries that already possess the devastating weapon of mass destruction (WMD)? Alyn Ware, a consultant for the International Association of Lawyers Against Nuclear Arms (IALANA), told IPS the problem with the Nuclear Security Summit is that it only focuses on one-third of the picture: non-state actors who don’t even have nuclear weapons. “It does not address the bigger picture: the current and real threats of the stockpiles of weapons and materials of nuclear-armed states, and the risks of proliferation to additional states,” he said. All of the nuclear-armed countries – the United States, Britain, France, China, Russia, India, Pakistan and Israel – will participate in the summit, scheduled to take place in The Hague Mar. 24-25. North Korea, which is not a publicly-declared nuclear power, is not among the 58 countries which will be present at the international conference, which is also expected to attract some 5,000 delegates and over 3,000 journalists. The International Court of Justice (ICJ) in The Hague has long confirmed that the threat or use of nuclear weapons is generally illegal, regardless of who would possess or use such weapons, and that there is an obligation to achieve complete nuclear disarmament. “It’s ironic that this summit is happening in The Hague, but appears to ignore the conclusion of, and legal imperative from, the highest court in the world situated in the same city,” said Ware, who is also a member of the World Future Council. The Hague summit will be the third in a series, the first having been held in Washington DC in 2010, and the second in Seoul, South Korea, in 2012. “If it falls into the hands of terrorists, the consequences could be disastrous. The international community must do everything in its power to prevent this,” he said. By hosting the summit, he says, the Netherlands will contribute to a safer world. 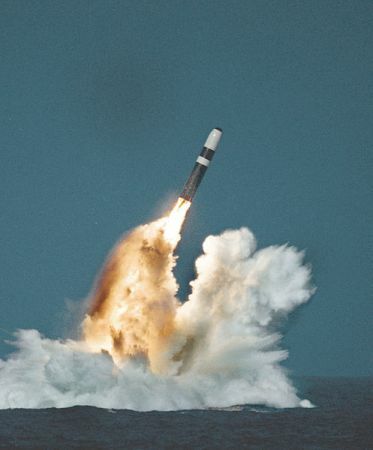 According to the Nuclear Threat Initiative, which in turn cited the U.S. National Nuclear Security Administration, seven countries – Austria, Czech Republic, Hungary, Mexico, Sweden, Ukraine and Vietnam – have removed all or most of their stocks of weapons-usable nuclear materials from their territories. The major concern, Dr. Ramana pointed out, should be the countries that have such stockpiles – the nuclear weapon states – and in these countries the larger context continues to be business-as-usual, with plans to hold on to the nuclear weapons, the associated fissile materials, and in some cases, plans to produce more. “I do not expect any of them to make any dramatic announcements at the upcoming security summit,” he said. U.S. President Barack Obama is quoted as saying that in a strange turn of history, the threat of global nuclear war has gone down, but the risk of a nuclear attack has gone up. And any use of nuclear weapons in an urban area in the 21st century would create a humanitarian, environmental and financial catastrophe of which we have had no precedent. Ware said it is important for governments, scientists, lawmakers and civil society to cooperate to ensure that nuclear materials and technology are under safe and secure control to prevent the possibility of them being used to make a nuclear device, no matter how crude, and then using this device. And according to the Dutch government, the NSS will not discuss nuclear disarmament, the pros and cons of nuclear power, or protection from natural disasters. But Ware argues governments are understandably dedicating considerable resources to prevent the spread of nuclear materials to non-state actors. “But where are the same resources being dedicated to eliminating the current arsenals of nuclear weapons, including those deployed in the Netherlands – and securing the stockpiles of fissile materials possessed by the nuclear-armed states?” he asked. Some would argue it already is! Nations that use drones, violate human rights, subsidize global warming, etc.